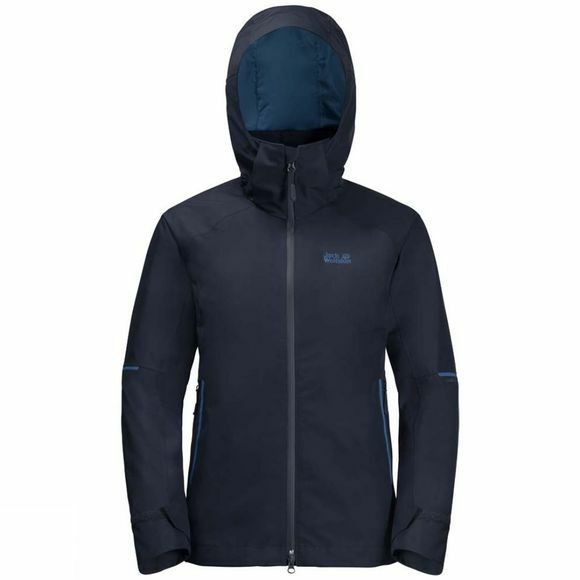 The Womens Sierra Jacket from Jack Wolfskin consists entirely of recycled materials.The Texapore Ecosphere fabric is 100% waterproof and Windproof, and delivers outstandIng breathability performance. The Sierra is an excellent choice for Outdoor activities In milder weather. It also makes a great everyday Jacket. The ventIng pit zips are positioned on the back of the arm Instead of underneath for improved freedom of moveMent. If the weather turns cold, simply zip In a compatible Inner Jacket.